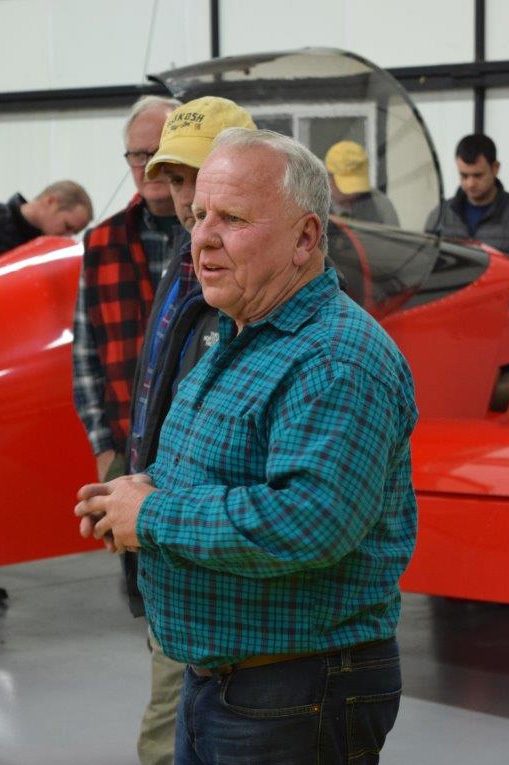 I recently returned from EAA HQ where I spent two days learning more about EAA and our Chapter. EAA’s Leadership Academy is an immersive weekend of learning about the EAA and learning how to be a better chapter leader. From the nuts & bolts of operating a chapter to ideas of how to help the chapter grow, the EAA staff did a wonderful job of teaching and keeping us entertained. 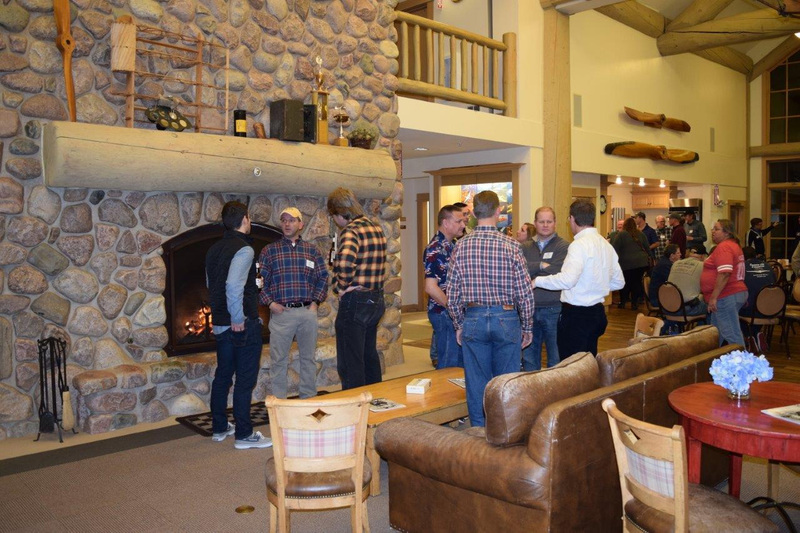 Arriving Friday afternoon, after registering, finding my room and unpacking, there was a “Meet & Greet” social hosted at the EAA’s Air Academy Lodge. This was the first of several opportunities to meet the other chapter leaders (approximately 50) from around the country and get to know a little about them and their chapters. Next up was dinner, they do feed you well. After dinner we were shuttled across the airport to Sonex Aircraft’s facilities for a tour conducted by Sonex’s founder, John Monnett. Saturday morning, after a hearty breakfast at the Air Academy Lodge, we climbed aboard the vans to caravan over to the EAA Museum/headquarters for a full day of training sessions. Several very knowledgeable and enthusiastic staff members presented sessions on starting/organizing a chapter, non-profit basics, growing membership, chapter online presence, resources available to the chapters, Insurance, Young Eagles and many more. A couple of snack breaks and a nice lunch provide more opportunities for networking with the other chapter leaders throughout the day. Saturday evening we gathered back at the Air Academy Lodge for a social hour followed by a nice dinner (did I mention they feed you well?). Later we caravanned back to the museum for an after-hours, behind the scenes tour of the Founder’s Wing. 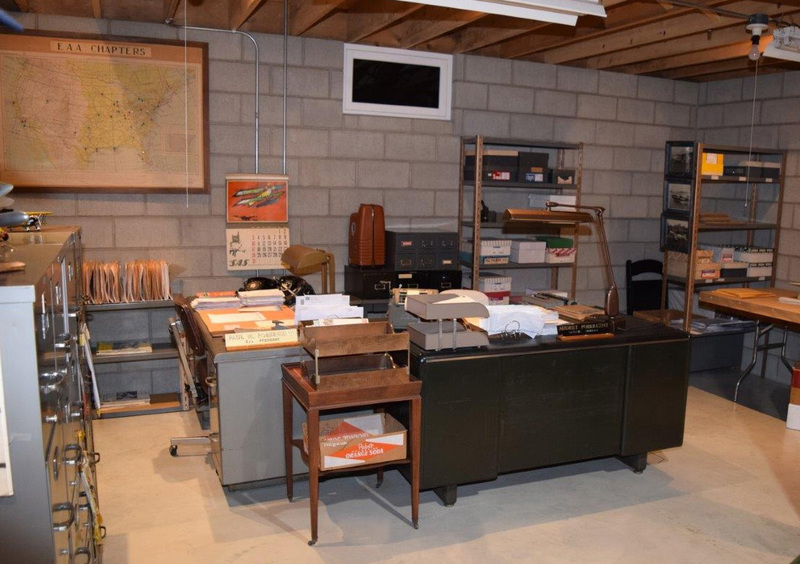 Here you can see a large collection of EAA founders Paul and Audry Poberezny’s memorabilia from the very beginning of the EAA, including the original office that was set up in the Poberezny basement (Paul didn’t throw anything away). 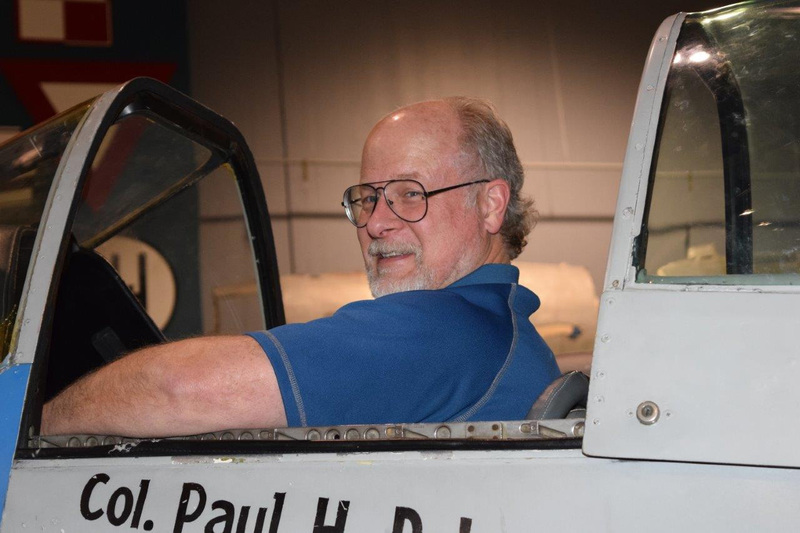 We were also treated to a “beyond the barrier cockpit climb” in a 1946 de Havilland DH.98 Mosquito Bomber and in a 1944 North American F-51D Mustang, better known as “Paul I” to the many who saw Paul fly it at many airshows and fly-ins. Sunday morning after another tasty breakfast (did I mention…..), we began the days training sessions including working with the media, IMC/FMC clubs and a lot more. The sessions concluded at noon with a quick lunch before the attendees departed for home. Throughout the entire weekend the EAA staff made it very apparent they wanted us, the EAA Chapters, to succeed and thrive. EAA is extremely committed to ensuring we all have the resources required to accomplish that goal. I makes me very proud to be part of such an organization.